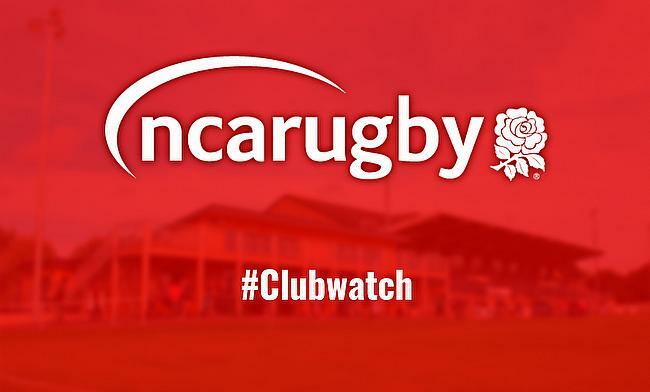 The first Club Watch of December is here so let’s take a look at the great work some of our National League teams have been up to and have got planned for the festive period. Birmingham Moseley are helping to bring wheelchair rugby to Birmingham. Alongside Wooden Spoon, the children’s charity of rugby, the event is a free taster session and is open to anyone with a physical impairment. Available for people from the age of 12 upwards, the first of four taster sessions will take place this Sunday at Queen Alexandra College. ♿️Wheelchair rugby is coming to Birmingham! Anyone at Caldy’s game against Sale FC on 22nd December are invited to attend the clubs Christmas party after the league fixture. Raising money for the RFU Injured Players Foundation, people can join in the festive fun. There will be a DJ and it is free entry. Sale FC’s women’s side, Sale 1861, will be heading to Stirling to play another game as the club’s journey continues. Only forming at the start of this season, Sale 1861 are playing a series of matches this season as they hope to join a competitive league next season. Hinckley’s weekend loss to Macclesfield won’t keep the club down for long. This Saturday, they will be celebrating 125 years of the rugby club with a local derby against the Leicester Lions. Past generations of players will be descending onto the clubhouse for a pre-match lunch and to share some stories of yesteryear. There is a big congratulations in order for Sheffield Tigers. The club surpassed their Movember expectations by raising £350 more than their original target. Pictures of the players’ final efforts before they were shaved off can be found on Sheffield’s Instagram account. Tigers have smashed their £500 target raising £850! The Mo growers are incredibly grateful with the donations from the #TigersFamily, you’ve raised money for an amazing cause! Wharfedale are hosting a Christmas auction this weekend following their clash against Tynedale. There will also be a band, supper and the opportunity to bid on several prizes. These prizes will be: Family tickets to see England play the Barbarians at Twickenham next year, an overnight stay at Marriott Twickenham with a stadium tour as well as entry to the World Rugby Museum and a Slingsby Gin master distillery experience. Bury’s annual charity carol singing pub tour will be taking place Wednesday 12th December. Raising money for St. Nicolas Hospice, the club encourage that players bring as many people as they can. In particular female voices as, let’s be quite frank, no one wants a team of rugby players singing. National anthems are enough! Canterbury’s first ever Christmas market will take place this Sunday. There is a chance that people could find the perfect gift for a loved one, or even find something for their secret Santa. Featuring many bespoke gifts their will be; candles, fragrances, Christmas decorations, bunting, sewing crafts, cards and pictures. As well as this, the club raised £10,000 for Macmillan Cancer as Canterbury wore pink shirts in the their recent win over Old Albanian. A brilliant effort from the club who are enjoying a fabulous season. A home win is a home win which is great but…..£10,000 raised today for @macmillancancer is even better! THANK YOU EVERYONE!!! Cornwall’s Redruth will be packing down against Cancer as they host a Pink Day on 15th December. In honour of General Manager Treve Dunstan and Chantelle Ward, who have both battled cancer, the events aim is to raise as much money for cancer charities. Pink shirts will be auctioned, and the funds raised will be split between three worthy charities. Added to this, £5 of the admission to the event will go directly to charity, as will money raised from the raffle.